•Curriculum based on active and experiential learning. •In-take age: one year and six months. •Hands-on learning in a fun-filled environment. 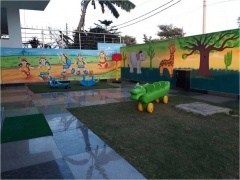 •Outdoor play area equipped with a variety of toys, slides, seesaws, sand pit, dollhouse, etc. 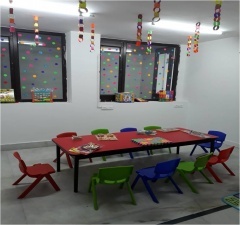 •Indoor area equipped with audio-visual room, library and brain development zones.